The "heart" of our company lies in the city triangle of Leipzig, Halle and Freyburg, close to the "Geiseltaler Seenkomplex" recreational and leisure region. The strategic location of our production facilities offers us an optimum logistical infrastructure for the delivery of our products domestically and abroad. At the start of 1992, this site was founded with the takeover of the production facilities for charcoal lighters from the former trust company Addinol Mineralöl GmbH Lützkendorf in Braunsbedra / Saxony-Anhalt. 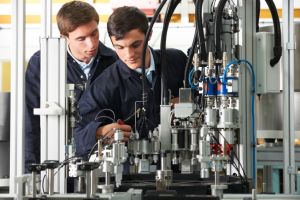 The immediate initiation of restructuring and investment measures guaranteed us high performance production facilities for liquid, paste and solid lighters. 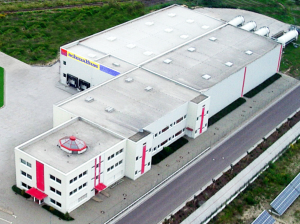 In 1996, the production complex was expanded to include a modern administration and production building, and in 2008 the entire production and logistics capacity was concentrated in Braunsbedra. For optimum production efficiency, we expanded our production to include metal processing machines in 2008.